Sewing my first garment since Grade 9 Home Ec! With rolls and rolls of fabric, it seemed like at least one of the projects I needed to tackle for my Windham Look Book was to sew a garment! I was daunted... I haven't sewn any clothes for myself since high school. Rather than leave it for last—what I thought might be the most complicated thing to sew—I decided I should start with making a shirt first! 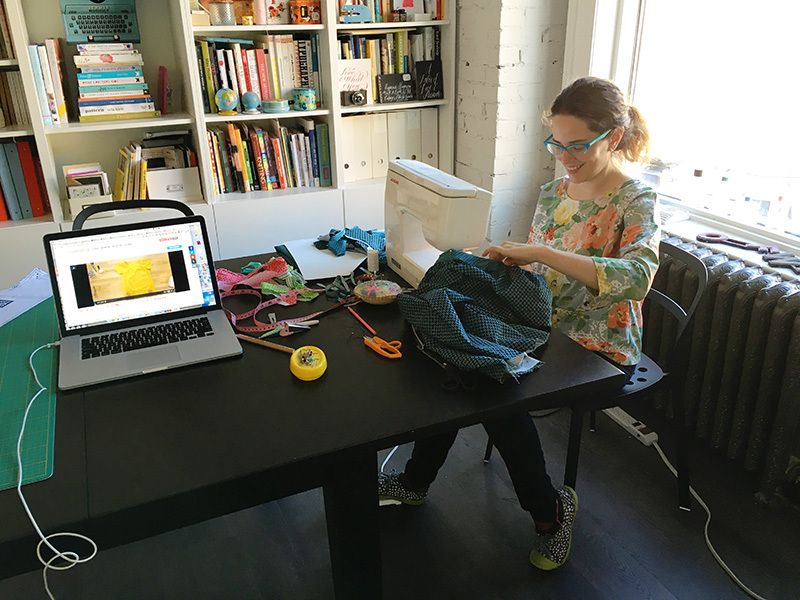 I figured if it failed miserably, I would still have time for a plan B.
Luckily, I had help... in the form of a very thorough video tutorial "Sew a Sailor Top" hosted by Fancy Tiger on Creativebug. After downloading the pdf pattern (comes with the class! ), I was able to follow along step-by-step. It was so helpful to watch the video before as preparation and then during the project for guidance... If you've never sewn a shirt before, I highly recommend starting with this one. I used two fabrics with the same turquoise and black, to add some interest at the collar... and a little surprise as a lining in the sleeve hem. Once I got started, the project went quite quickly. With my pattern cut out and prepared, I could easily sew another top (or two!) with some other colours.